The boundary established in Bill C-14 for reasonable foreseeability of natural death will serve as an essential safeguard to protect vulnerable persons from being induced to commit suicide through the system. From our perspective, anyone who is not dying, but who is nonetheless seeking death, is by definition vulnerable. Geriatric services. Elder life at Hospital. For thousands of years the medical profession has worked to save and improve lives. As medical advancements were made, we found ourselves faced with the need to decide whether to extend life mechanically or "pull the plug" and allow death to take its natural course. Most recently, the Supreme Court of Canada answered another question: should we be able to medically assist someone to die? Yes, the court found that Canadians should be permitted to request medical assistance in dying in certain circumstances. And it is defining those circumstances, while balancing the need to protect the vulnerable and the sanctity of life, that has become so hotly debated. Last week the national disability rights community and their allies issued an open letter to members of Parliament and senators, urging both Houses to adopt Bill C-14. Some senators have said that thousands of Canadians have written them letters and sent messages on social media about the bill. Some are concerned that Bill C-14 is fundamentally flawed because it restricts access to people whose "natural death is reasonably foreseeable." "Isn't that discriminatory?" they ask. "What about people who are suffering and who are not dying? How can we deny them access to medical assistance to die upon their request, if they find their suffering from a psychiatric disability or chronic condition intolerable?" Some provincial courts have issued their own decisions and some colleges of physicians have issued guidelines, with mixed results. 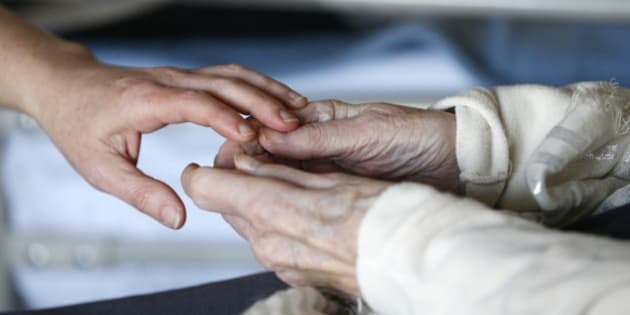 Some indicate that people with irremediable conditions which cause them intolerable suffering should have access to medical aid in dying, whether or not they are actually dying. This is the principle at the heart the passionate debate within Senate this week. For people who are suffering intolerably but not at the end of their lives, medical aid in dying is not the right response. Should the medical profession help people who are not actually dying, to die? Should a profession that has studied medicine for millennia in order to reduce human suffering, now determine what level of suffering makes life no longer worth living? These are perhaps the heaviest of issues these two Houses have ever had to debate. To help inform this debate, our organizations, along with several others, convened a large coalition: The Vulnerable Persons Standard. We are working together to ensure that legislation protects vulnerable persons. The boundary established in Bill C-14 for reasonable foreseeability of natural death will serve as an essential safeguard to protect vulnerable persons from being induced to commit suicide through the system. Yet some senators are suggesting that equality demands that people who are suffering should have access whether or not they are dying. And we have been told that the health care regulators have come up with the protocols needed to ensure that people who are not dying are not at risk of abuse or pressure to end their lives. This is an unacceptable starting point. From our perspective, anyone who is not dying, but who is nonetheless seeking death, is by definition vulnerable. They should get the response, care and support they deserve. A number of legal experts agree that this limitation is constitutionally justified under Bill C-14's objectives to ensure "inherent and equal value of every person's life," to protect the vulnerable, and to "avoid encouraging negative perceptions of the quality of life of persons who are elderly, ill or disabled." Bill C-14 provides for medical aid in dying to assist people who are suffering intolerably at the end of their lives, to exercise autonomy in how they die. This is exactly as it should be written in order to uphold the government's obligations to balance both the respect for autonomy and the sanctity of life. For people who are suffering intolerably but not at the end of their lives, medical aid in dying is not the right response. It would undermine the value of the lives of people with disabilities or chronic conditions. Rather, governments and communities must respond by ensuring access to the supports that people need to ameliorate their suffering and improve the quality of their lives, respecting individuals' right to decide whether and how they take advantage of the options provided. Death should not be one of those options when one is not actually dying. We need to do much more in Canada to ensure that people who are dying have the options they need, through palliative care and other supports, to exercise autonomy in how they die. We must also do much more to ensure that people with disabilities and chronic conditions who are not dying have the supports, autonomy and equal respect they require in order to maximize their quality of life, participation and inclusion in our society. We can do both of those things. But first, we must pass Bill C-14. Michael Bach is the Executive Vice-President of the Canadian Association for Community Living and James Hicks is the National Coordinator of the Council of Canadians with Disabilities.